Just Released! Limited Time Only! Learn the System. Transform Your Business. 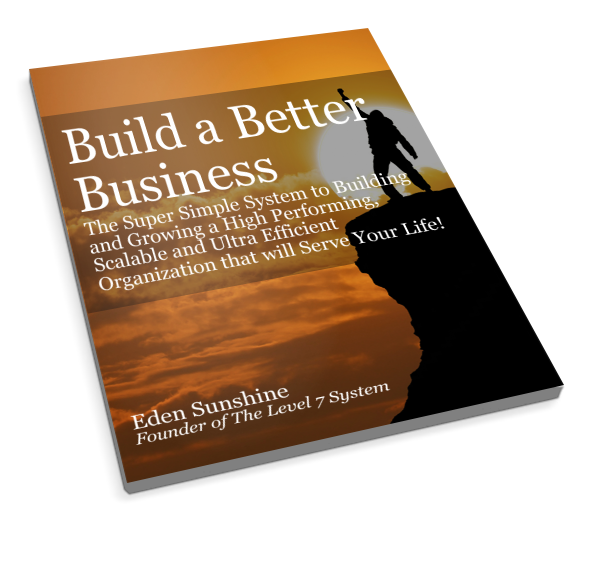 Get Your Free Copy of the Build a Better Business ebook. Learn the one simple tweak in your business that will improve everything in your business and your life! I’ve never seen or experienced any business development program as comprehensive or straight forward as the Level 7 Systems. The program is genius and the result are remarkable.